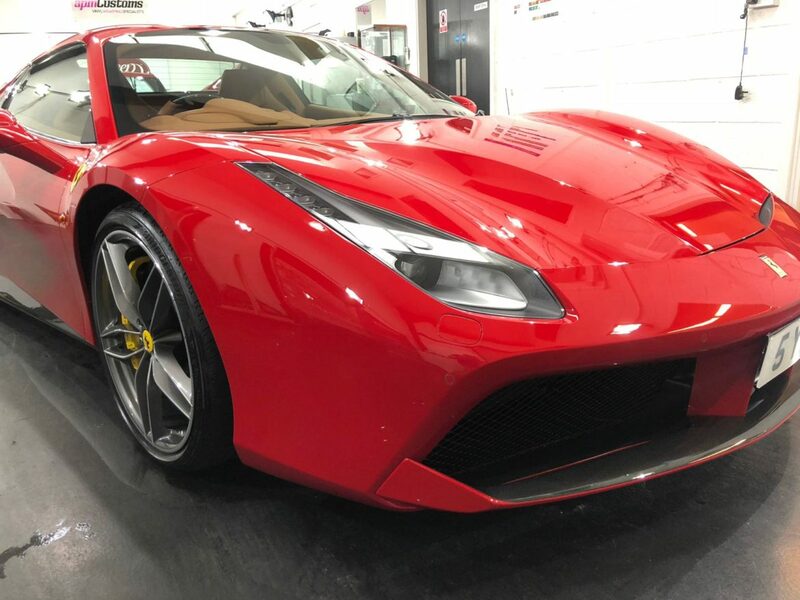 Ferrari Paint Protection: The Reep Yorkshire studio recently had this fantastic Ferrari 488 in their studio to receive paint protection film and Gtechniq ceramic coating. 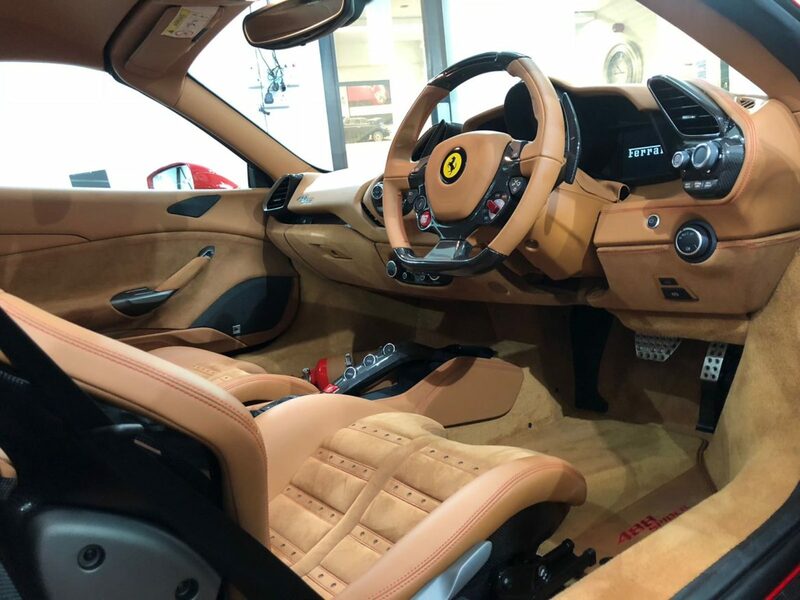 The owner of this particular Ferrari. 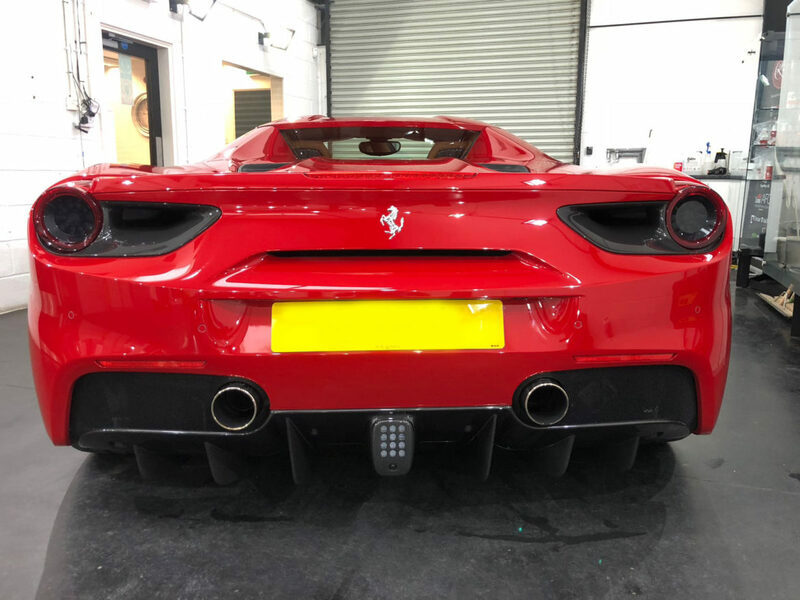 opted for our increasingly popular ‘Track Pack’ PPF Kit as well as Gtechniq Exo Sealant which was applied to the whole of the car. 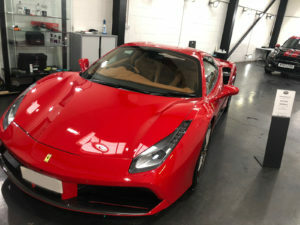 Once our team had carried out a full safe wash, the car was brought into our studio and blow-dried ahead of the film application. After a final inspection was carried out by the detailing team, the car was prepped ready for the first piece of film. 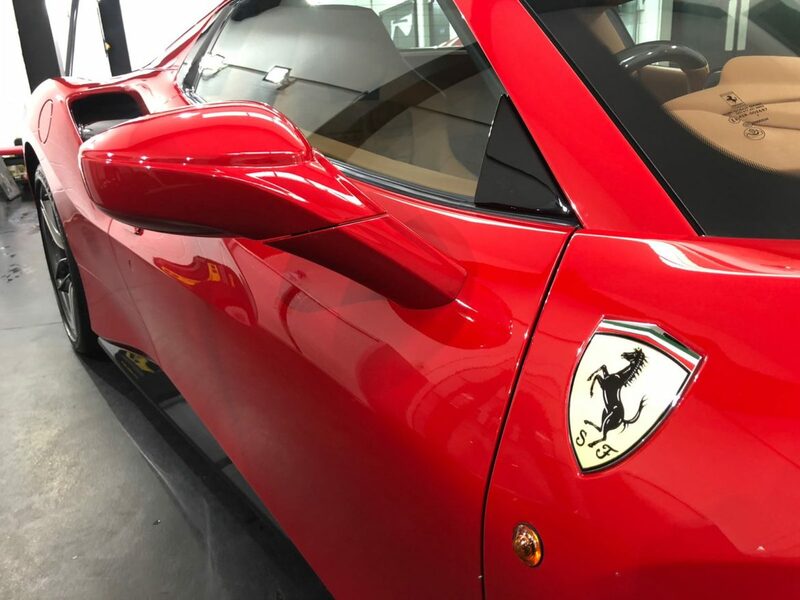 After the car had received the paint protection film, Getechniq ceramic sealant was applied onto the Ferrari’s custom paintwork. 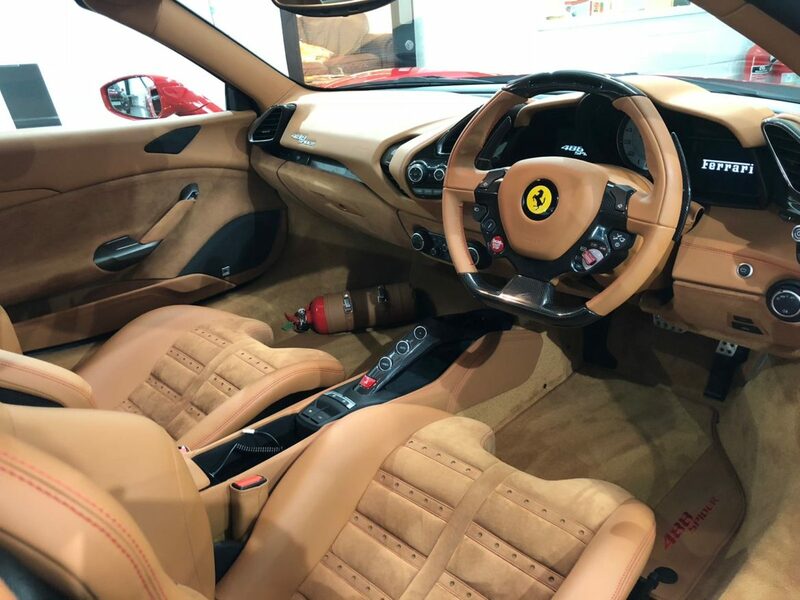 Our technicians use a small cotton pad and work on small square sections of a panel until the whole area is protected. This specialist sealant will keep it looking glossy and new, prolonging the life of the paintworks perfect finish. If you’re interested in having your beloved pride and joy protected, speak with our team at our Harrogate studio today. 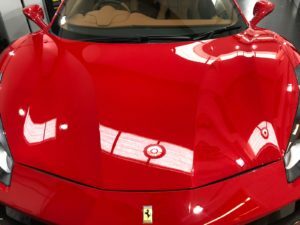 We can provide Paint Protection systems for any car. 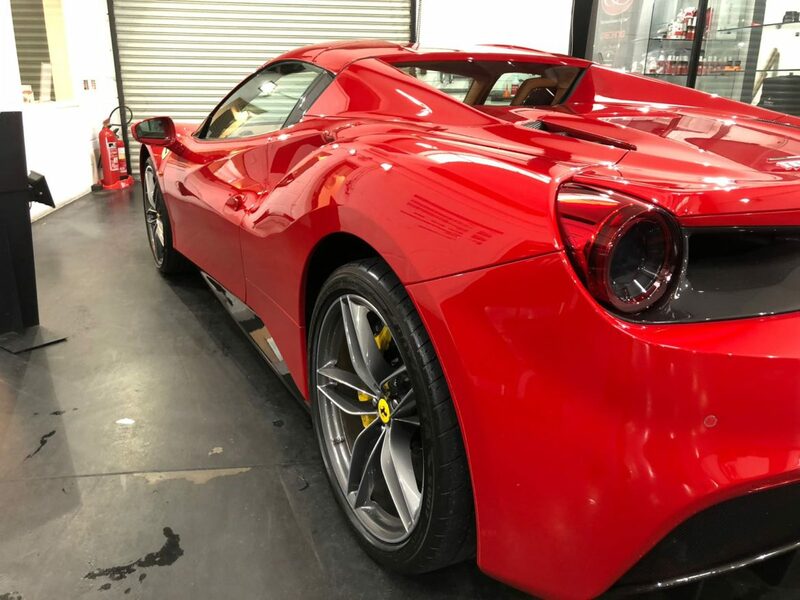 It doesn’t matter if this is a Fiat or Ferrari, our luxury car care protection products will protect your pride and joy. 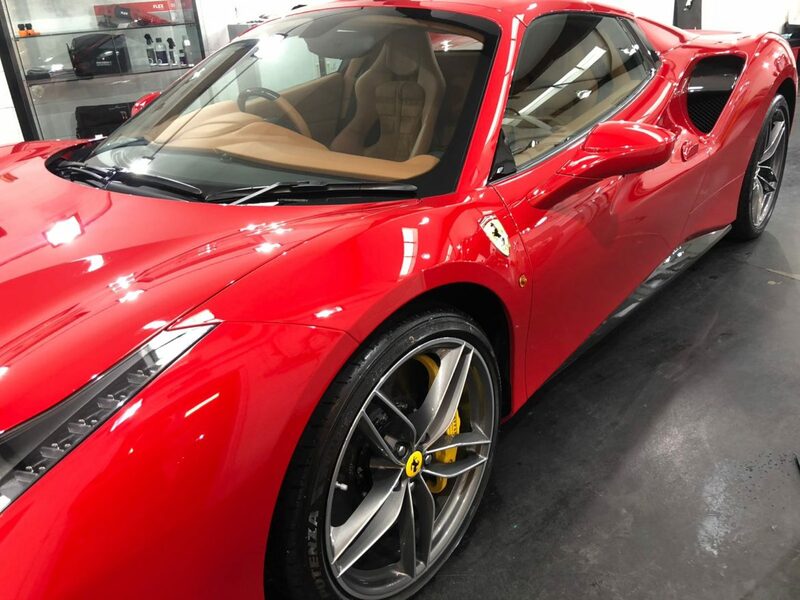 Included in this is a Ceramic Sealant from Gtechniq, Wax protection from Swissvax, and a self-healing film from LLumar. 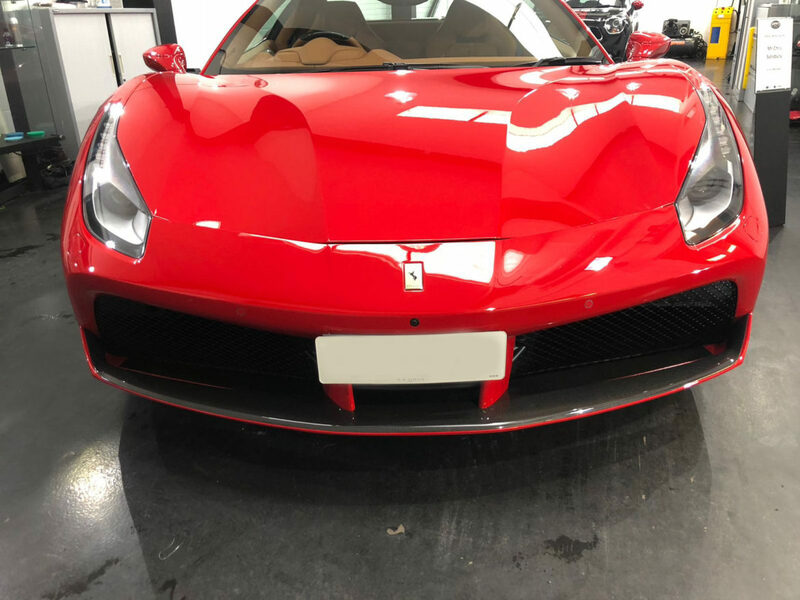 We are now also able to offer a windscreen protection! 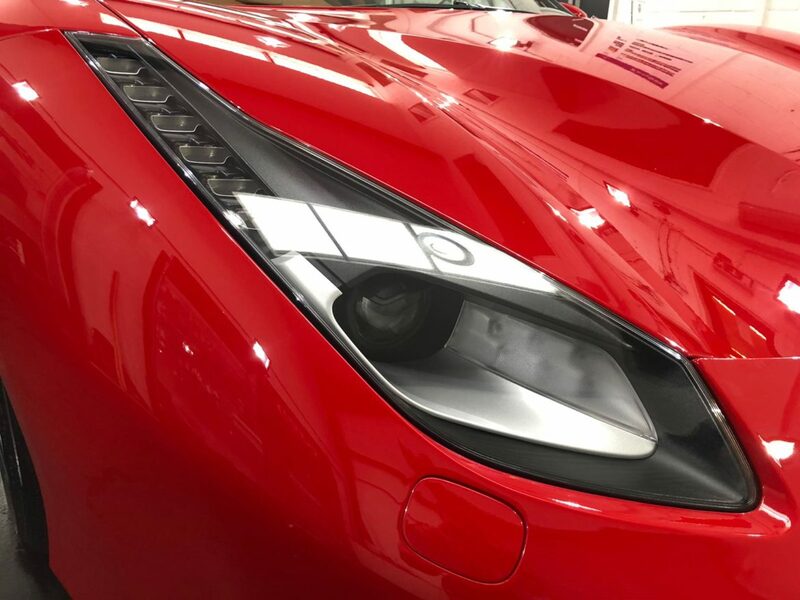 It helps to prevent stones from damaging your original windscreen – which can become costly. 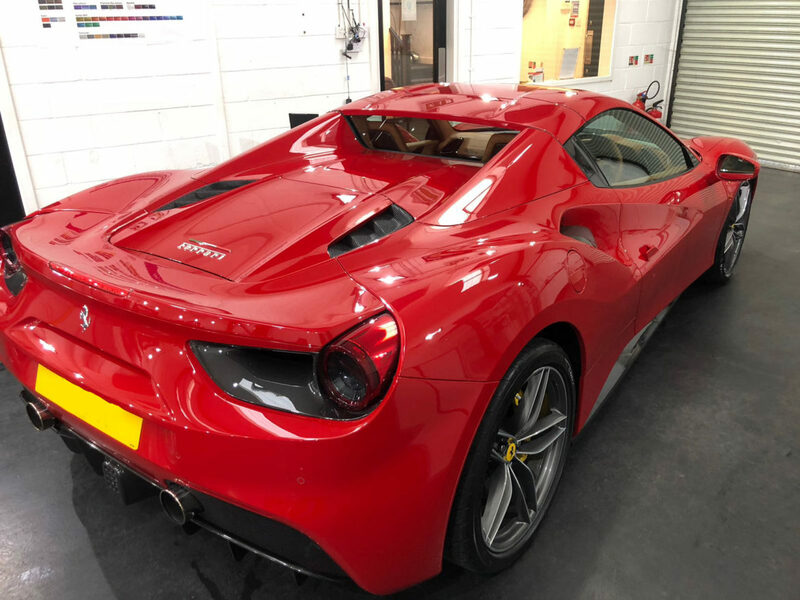 Call us on 01423 860022 or email us for a personalised quote at detailing@reepgroup.co.uk. 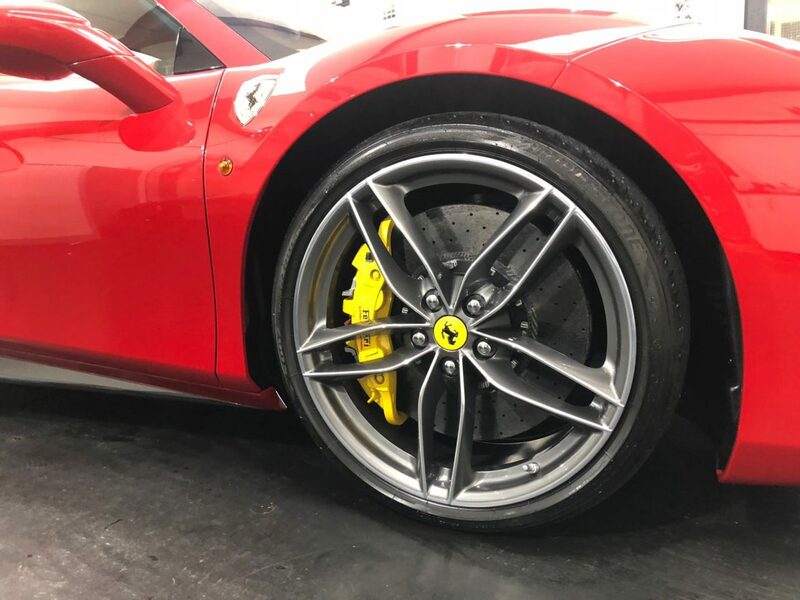 Here at Reep we pride ourselves on creating the perfect protection package for your vehicle. 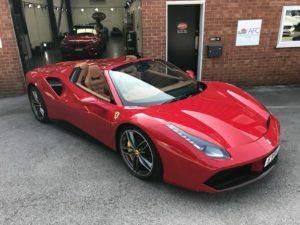 Our state of the art studio based on the outskirts of Knaresborough is home to a purpose built Detailing studio, all fully lit and temperature controlled ensuring the perfect conditions to care for your dream.